Join your workforce on Loc8 and instantly start receiving the latest updates on your jobs. 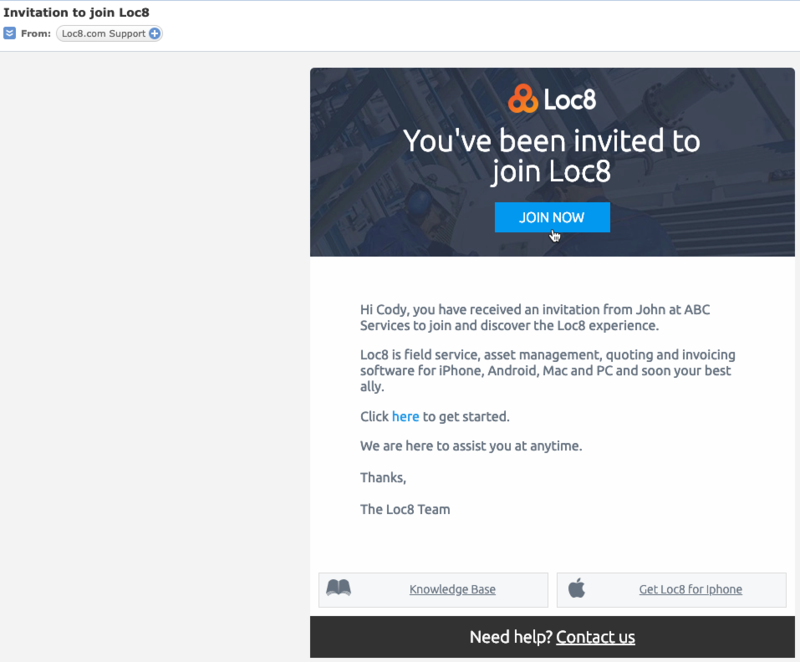 Just accept the invitation email (also called as the activation email) from Loc8 Support from your inbox and set up your login details. The invitation email is sent out to you by one of your colleague in Loc8, under the license type User and user group Admin. Once your account is active, you'll be able to access your company's Loc8 system via the web browser or the Loc8 Mobile app, as is permitted by your user license and user group. If you're a technician or someone who needs to visit the customer locations quite often, you're most likely to have the permissions to the Loc8 Mobile app too. You may install the Loc8 mobile app right now if you wish and continue the steps to activating your account from the mobile app instead. STEP 1 Open the invitation email in your mailbox (check all of your folders, including Spam/Junk folders), and click Join Now. Alternatively, you can click here in the email body. 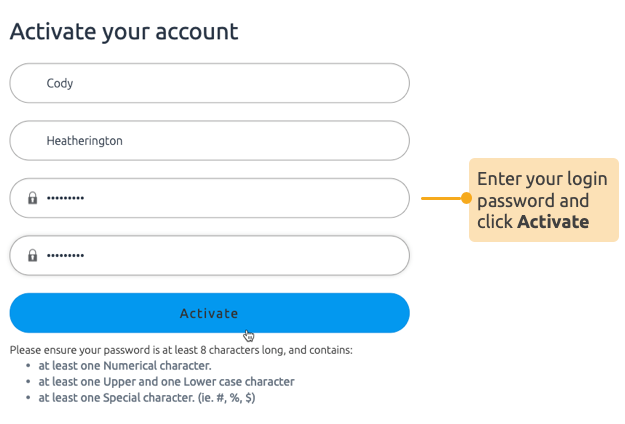 STEP 2 In the following page, enter your password. You will use this password for subsequent logins to Loc8 in both browser and mobile app. Congratulations! You are now a part of your workforce. Login and start creating, updating and viewing data of your company with instant collaboration between the members of your team.